Rediscover your inner wildness during this soulful five-day journey through the captivating and diverse landscape of Iceland. This retreat focuses on using your wilderness surroundings as a tool to understand your own nature as a human being; stand behind momentous waterfalls and feel the energy pounding in your chest, or meditate on a pristine mossy mound. Twice daily yoga, planetary gongs, musical mastery, nourishing meals with freshly harvested food, and trips to unparalleled natural wonders will guide you back to your truest, centered self. Lolo began her journey by working as a nurse, after which she transitioned into Ayurvedic medicine and then to be one of London’s favourite teachers. Her teaching style takes many forms from dynamic vinyasa to potent restorative and Yoga Nidra. Cherub is one of London’s leading sound healers. In her sound journeys, you can expect to experience a high frequency fusion of planet gongs, drums, flutes and chimes to guide you into a deep and blissful states of pure presence. Fern is a kind and creative creature who treats yoga as energetic artistry. Her teachings stay rooted in philosophy, but she enjoys weaving the body through an interconnected web of movement. You can expect to move the body from the inside out with an effortless effort. This is an outline of what a typical day on the retreat might look like. It might change around a bit, but you'll definitely have a great time! You'll start the day with a Sacred Morning routine of a sunrise ritual, pranayama, or maybe a silent walk or live music meditation. You'll dive into your first comprehensive, energizing yoga session of the day, complete with guided movement and meditation. After a rejuvenating yoga session, you'll enjoy a delicious, locally-sourced, wholesome vegetarian brunch. You'll have free time to enjoy a massage or Reiki treatment, join an activity or excursion, or take some time to reflect, read, or journal. Regroup for the evening restorative yoga session, which includes a sound healing session and workshop. Enjoy a tasty, wholesome, and nutritious vegetarian dinner. You'll have the rest of the night free to hot tub under the stars, look at the Northern Lights, enjoy some chai around the fire pit, enjoy a late night treatment or sauna session, or call it an early night with a good book. A luxurious, chic and secluded lodge, with all the modern amenities to keep you pampered during your stay. Maison Fish Iceland is a premium lodge with a fifteen person hot tub, fire pit, gym and sauna. It is nestled away from light pollution at the bottom of a mountain, offering a truly magical view of the Northern Lights. 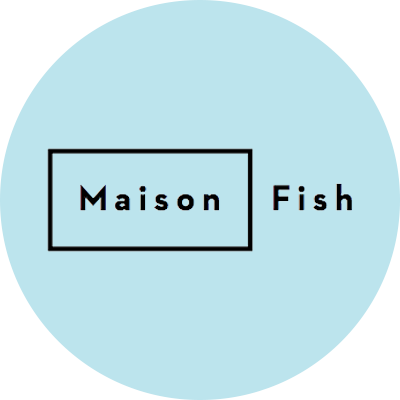 Maison Fish is decadently decorated with exposed wood, chandeliers and cosy, comfy corners for you to curl up with a book. It will transform into a spacious yoga shala, adorned with candles and trinklets, to create a truly beautiful space to move through your yoga journey.